A BPA-free twister tube for DIY lip balm, eye balm or any other homemade balms. Twist-up turning wheel mechanism allows for your product to be cleanly and evenly dispensed. White tube and lid. 5ml capacity. Fill with your homemade balms for on-the-go application. 5ml. 7cm x 1.5cm. White polypropylene plastic. Please note: do not pour in liquids warmer than 48°C. 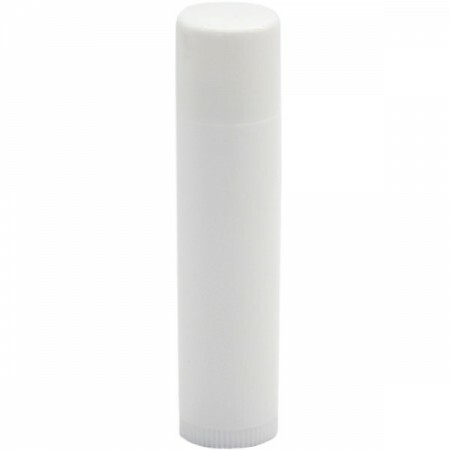 Great for making my own lip balm and other products, plus BPA free. I tried a DIY lip balm and I found this product ok but it did leak out the bottom a little. It may have been my fault as I adjusted the winder slightly but didn’t expect it to leak out from the bottom. I will attempt to try again, am hoping for a better outcome!